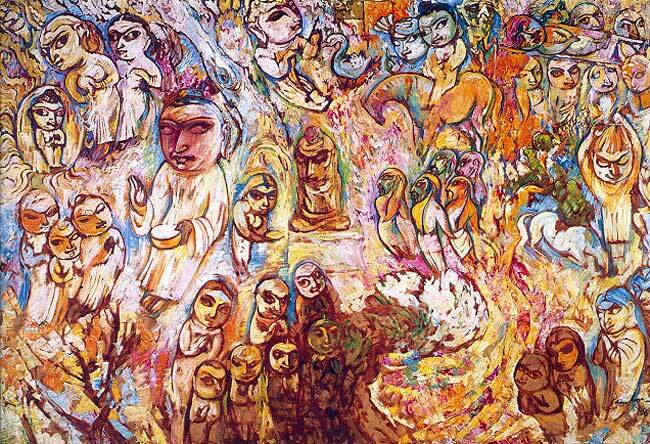 'Lumbini' or 'The Life of Buddha' (1956) by KCS Paniker (1911–1977), one of the most renowned painters from the southern state of Kerala, India. One of the most frequently asked questions to us is: "Who runs the Wellbeing Programme?" And we had only one answer  "Beneficiaries themselves." The 'Wellbeing Clinics' are run by a group Friends of Tibet Members, Tibetan Medical Centre team members and Wellbeing Beneficiaries. The Wellbeing Programme is one of the most ambitious projects from Friends of Tibet which would not have been possible without the collaborated support and hard work of so many of our people. We thank all those who put in so much enthusiasm and effort to make these camps possible every month. Below a list of individuals and organisations that continue to contribute their time and resources to sustain this programme. · ...and the Beneficiaries of the Wellbeing Programme.